The incident occurred during the prayer service. The attackers beat the faithful gathered to hear the Sunday sermon. 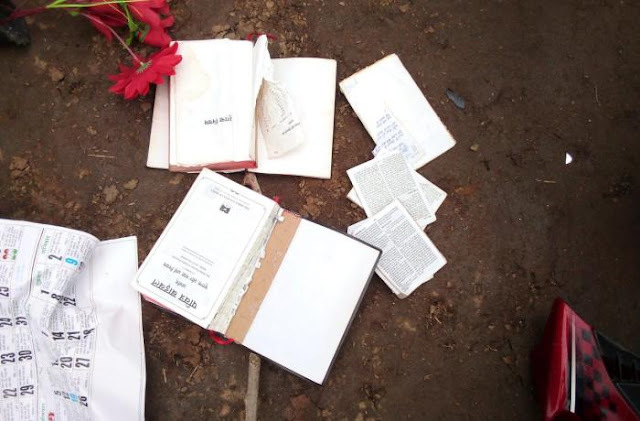 Some musical instruments destroyed; three copies of the Bible ripped. Mumbai (AsiaNews) - A group of radical Hindus attacked a Pentecostal church in Chhattisgarh. The incident occurred yesterday during Sunday prayers, according to Sajan K George, president of the Global Council of Indian Christian (GCIC), who "strongly condemns the attack on the Pentecostal church". The Christian leader reports: "Yesterday around 9.30 am, the Rev. Ajay Ravi was preaching at a meeting of about 25 people. Suddenly, without any provocation, 15 people stormed the church, while others waited outside. The attackers were shouting that the people gathered in prayer were insulting the gods and goddesses [Hindu] ". Later the interruption of the prayer service degenerated into real violence. The radicals, continues Sajan K George, "beat up the faithful, insulted the women. Then they ripped three copies of the Bible, broke some musical instruments and destroyed a motorcycle. " The attack took place the day following the 70th anniversary of the Republic. According to the president of the GCIC, "it is a shame. Religious freedom is guaranteed by the Constitution. This attack intimidates the vulnerable Christian community, [and spreads] fear and insecurity, above all because of the anti-conversion law in force in the State ".